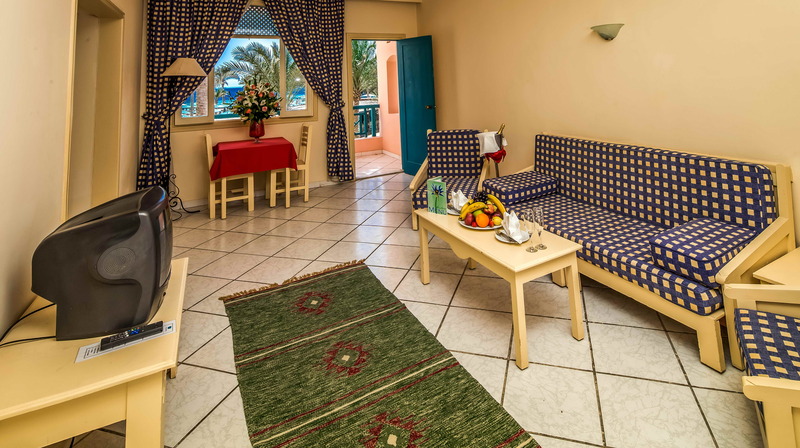 Our junior Suites feature a magnificent view of the Red Sea and a private balcony. Relax in the separate bedroom featuring a king bed with 100% Egyptian cotton linens. This spacious suite also has a living and dining area with seating. There are bathroom with bath robes and slippers for two. All rooms feature individually controlled air-conditioning, satellite television with remote, in-room safety deposit box, , mini-bar, and 24-hour room service.